Member Services: 24/7 Access & Referral Helpline: 1.888.743.1478, 909.386.8256 or 711 for TTY users or visit the Member Services: Access & Referral webpage. The mission of the Department of Behavioral Health Medical Records Unit (MRU) is to provide progressive internal and external support. The MRU performs its mission with trained health information management staff that offer quality services to internal and external customers. 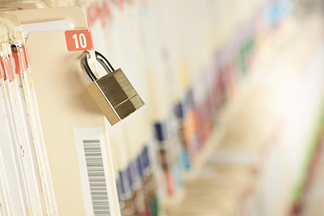 DBH medical records are maintained in a secure manner, allowing release only to recognized entities with a legal right to review the contents. Consumers may request a copy of his or her behavioral health medical records with a properly completed Authorization for Release of Protected Health Information form. Please download, print, and fill out the form completely. Authorizations not appropriately signed will not be processed. An $8 fee applies to receive copies of the medical record. Minor children between the ages of 12 and 17 may need to sign his or her own authorization. Prior to release, personal access release requests for medical records need to be approved by designated DBH staff. Completed forms can be presented to the clinic where the consumer is currently being seen. For consumers that are not currently being seen, the request can be sent to the Medical Records Unit. Q: Is there a charge for copies? A: A flat fee of $8 is the cost for copies of records for personal use. Q: May my spouse request and receive copies of my medical record? A: Only with an appropriately signed Authorization for Release of Protected Health Information form or legal paperwork identifying the spouse has rights to request medical records. Q: When can I expect to receive my copies? A: It may take up to 15 days to fulfill your request. Requests for behavioral health records will require approval by the DBH treatment team. Q: Can the copies be mailed to me? A: Copies will be mailed to the address specified on the Authorization for Release of Protected Health Information form or you may pick them up during hours of operation. Please indicate on the release form. Copyright © 2017 San Bernardino County Department of Behavioral Health. All rights reserved.